St. Augustine is both the largest city and the county seat of St Johns County. St. Augustine is the oldest continually occupied city in the continental United States. Henry Flagler, a partner with John D. Rockefeller in Standard Oil, arrived in St. Augustine in the 1880s. He was the driving force behind turning the city into a winter resort for the wealthy northern elite. Flagler bought a number of local railroads and incorporated them into the Florida East Coast Railway; it built its headquarters in St. Augustine. Flagler College was built as the Ponce de Leon Hotel and continues to retain its unique architecture and historic significance. Empire Tax & Financial Services, Inc. Empire Tax & Financial Services, Inc. is a "bankruptcy petition preparer" and "debt relief agency". 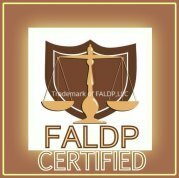 As a non-attorney bankruptcy preparer, our fees and services are regulated by the U.S. Bankruptcy Code and local court rules and decisions in each jurisdiction. We have prepared hundreds of successful Chapter 7 bankruptcies for individual consumers across the nation. Our top bankruptcy preparers have years of experience in preparing bankruptcy forms and were formerly employed by bankruptcy attorneys and trustees. For more information go to http://www.preparemybankruptcy.com. We also offer Tax Preparation Services.